This week we are previewing one of the core units for the game, the Norse viking unit. 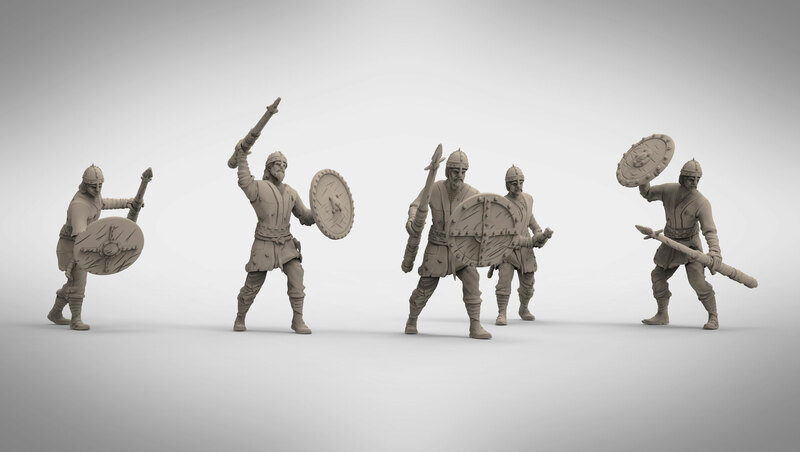 Sculpted by Elijah Akouri, these multi-part metal miniatures will be the foundation of most Norse armies. They have been designed to have interchangeable arms, weapons and shields. Each arm has a degree of poseability and interchangeability so players should get a nice range of diversity within the unit once these are assembled. 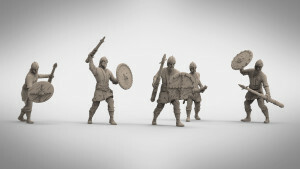 The design process for the viking unit was a fairly long one as these were not the first sculpts done for the vikings. we had originally gone in a slightly different direction, alas all involved were not happy with the first viking miniature we produced – a picture of this can be found on our Facebook page and it may be released as a limited run miniature during our kickstarter campaign early next year. Following some trial and error we opted for a total redesign and Elijah has done an amazing job in creating something that is modular whist fitting within the constraints of what your basic Norse viking would have looked like. 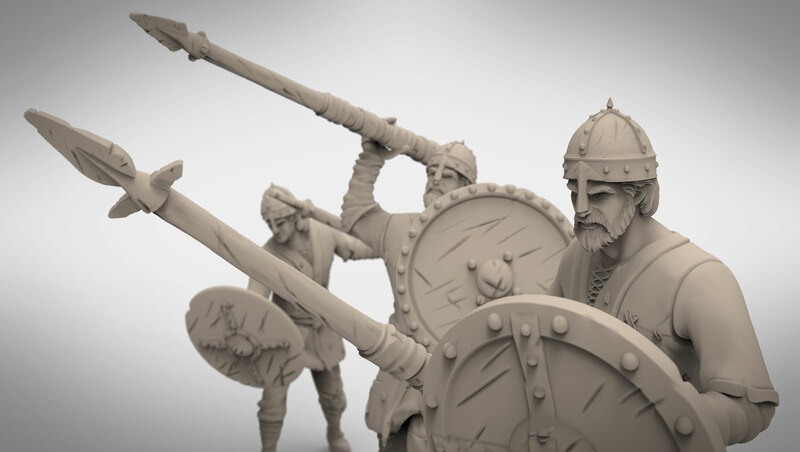 Players will generally field 10 to 20+ of these in a unit and this will be a unit that we will be releasing with the Norse starter set. These are now in our production que for prototyping before they are off to moulding. We will be publishing pictures early next year of the final production casts for these. http://www.demigodgames.net/wp-content/uploads/2013/12/04.jpg 2003 3543 Demigod Games http://www.demigodgames.net/wp-content/uploads/2013/04/Logo-small.jpg Demigod Games2013-12-09 20:59:132014-06-04 13:07:36Norse Vikings Preview. Nice job. would like to see some rules teasers. Thanks for your post. 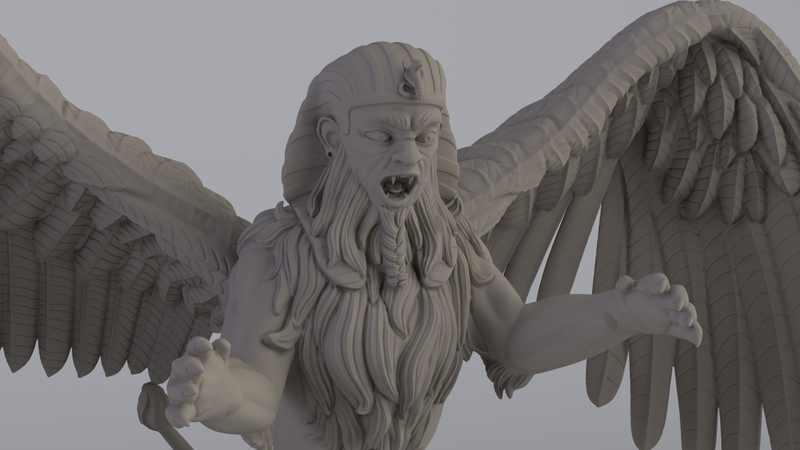 We will be doing rules teasers early next year closer to when we crowd fund. As a brief intro, the game uses a random resource fog of war mechanic, so it is not a mass D6 rolling your-turn my-turn game. 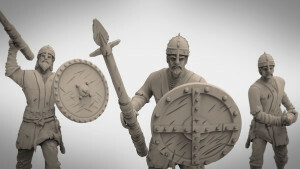 The rules have been designed to focus player’s attention on strategy and dealing with the changing nature battle whilst aiming to keep both players actively participating in the game. 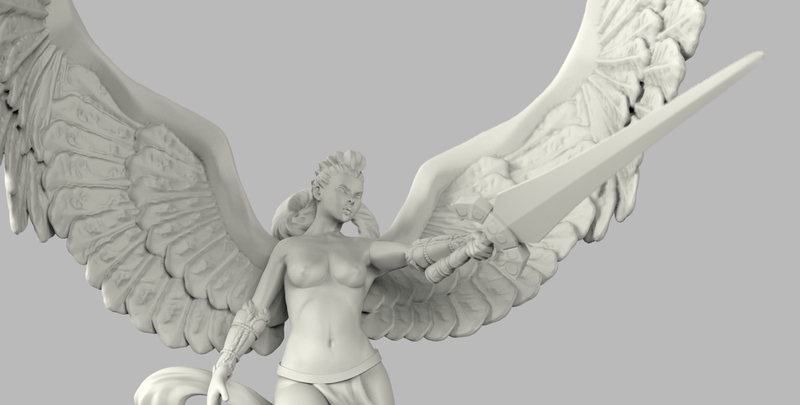 We will also be running a closed beta with our crowd funding backers prior to finalising the model rules for print.